It’s finally here. One of my most anticipated games of the summer and one of the main reasons I bought a 3DS is now in my hands. Despite my excitement, there’s a lot of fear that comes with the retooling of a classic. If you don’t change too much about the game, it becomes more of a port and fans of the original may feel cheated that they essentially just bought the same game twice (or thrice, or whatever the case may be). If you change the game too much, you could end up with something that falls too far outside the realm of what made the original a classic – possibly alienating both existing fans and potential newcomers. The impressions I got leading up to the release of The Legend of Zelda: Ocarina of Time 3D is that it leaned more towards the former category, opting not to make any significant changes but still improving in the area of presentation. The question then becomes: Is this enough? I mean, Nintendo couldn’t possibly allow developer Grezzo screw up one of the most beloved entries in one of their most valuable IP’s, could they? When you begin the game, Link is but a boy living amongst a village of forest people known as the Kokiri. The Kokiri never age and are always accompanied by a fairy, except for Link, which gives the assertion that there is something unique and special about him (This is significant when you consider this game was to precede the rest of the franchise chronologically). The Great Deku Tree assigns Navi to be Link’s new fairy partner before falling under a curse, setting events in motion that will eventually lead him on a journey outside of the village, something none of the other Kokiri had done before him. During the journey, Link meets a lot of characters that will aid him in discovering the truth behind, “the wicked man of the desert”Â that cursed the Great Deku Tree and haunts Link’s dreams. Your time with many of the characters is fleeting, but you grow to enjoy their company, including the childhood friend Saria, and the Zora princess Ruto, whose rescue earns you her engagement. The impact of these bonds don’t really surface until partway into the adventure when you are able to travel seven years into a ruined future to see the havoc caused in your absence. The story in Ocarina of Time is one of my favorites in the franchise, comparable only to Link’s Awakening and perhaps A Link to the Past. The Zelda franchise has never been a voice-acted cutscene fest, but it has always been successful at creating concise scenes with simple plot points and subtle motivations to drive the player to finish their quest. Thirteen years after its original release, Ocarina of Time still handles this expertly. Taking the first step outside the Temple of Time to see the world in ruins leaves the kind of lasting impact that resonates well after the game turns off. And the game is full of moments like these. When The Legend of Zelda: Ocarine of Time 3D was originally announced, I was under the false assumption that it would basically be a straight port of the Nintendo 64 release, but with the 3D effect added. Never before was I so happy to be wrong. Not only have all of the character models been smoothed out, but some were given new animations to bring them to life even more. They also have more believable looking facial expressions this time around. 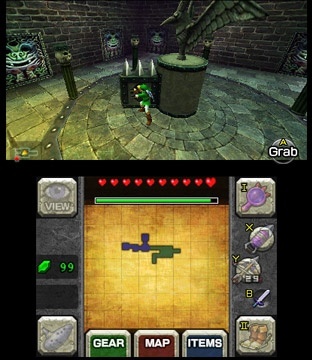 The pre-rendered backgrounds have been done away with completely, and new details have been added to the insides of homes as well as the backgrounds, making the land of Hyrule look a little more believable as an inhabited world. The frame rate has been upped to 30 fps as well, so everything moves more realistically than it did previously. However, I did encounter a moment of slowdown while in a room full of jars that I started smashing to pieces all at once, but this was the only occurrence. There aren’t a whole lot of 3DS games to compare to visually just yet (and the few that do exist, I don’t care to play) so it’s tough to get a grasp on just how good titles should look on the system. Between the cleaned up visuals and the well implemented use of the 3D effect though, Ocarina of Time is downright impressive and really shows off what the new handheld can do. I couldn’t have asked for a better looking package than what I got. I absolutely love the music to this game, which is not surprising when you consider I already own three different soundtracks for it and now have a fourth on the way due to the purchase of this game. Koji Kondo is nothing short of a musical genius, and Ocarina of Time contains some of his best work. As you could probably deduce from the title, the Ocarina of Time plays a huge role not only as a story element, but as a game mechanic, so music is a key facet to the game. 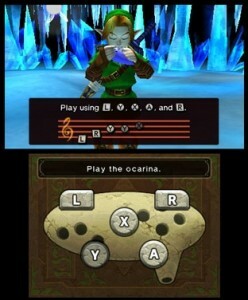 Playing different songs on the ocarina lead to different effects such as making it rain, summoning your horse, or changing from day to night and vice versa. There comes a point where you play each of the tunes so often that you can rehearse them without looking at the song sheet. And once you hear Saria’s song, you can never unhear it. Like its previous iterations, there is no voice acting aside from the one word voiceovers you hear when you talk to someone. As you would expect, the now familiar cries of, “Hey!”Â and, “Listen!”Â from Navi are everpresent as well. Let’s also not forget the plethora of sword clashing, heart collecting, and Link grunting to round out the sound effects. While there isn’t anything new added aside from an orchestrated version of one of the tracks during the credits, what’s here was already a superb package and I wouldn’t have had it any other way. It’s easy to pick on Nintendo for not taking the “modern”Â approach of adding voices to their characters. This worked out well for Star Fox, but when you do it to Nintendo characters who don’t generally talk, you end up with something like Metroid: Other M. It’s a good game, sure, but it could’ve been even better had they not transformed Samus into such an anti-badass. Link can stay a mute character forever as far as I’m concerned. 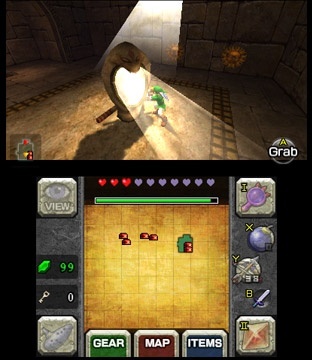 My main concern with the 3DS adaption of Ocarina of Time was the possibility that the game will be controlled strictly with the touchscreen similar to the two DS titles. Imagine my relief when I realized they had actually improved on some aspects of the button layout. You use the 3DS thumbstick to move and the B button for your sword attacks. The A button controls all your context sensitive actions such as opening doors or picking up objects. The R button is used to block with your shield if you have one equipped. 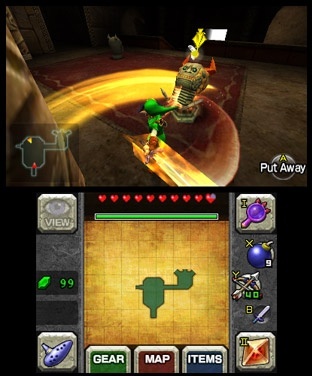 In the N64 version, what made the game such a revolution in the realm of 3D action/adventure games is the introduction of Z-targeting. Z-targeting is the use of the Z button to lock onto an enemy or object and keep the camera focused on them allowing the player to circle around them or launch attacks without having to reposition each time. In the 3DS version it is now L targeting, which doesn’t sound quite as cool, but serves its purpose all the same. The X & Y buttons are reserved for any items that you may pick up, such as bombs or the bow and arrow. It seems limiting at first just having the two buttons until you take a look at the touchscreen. In each corner are four wide buttons, the top left for switching into first person mode to look around at your scenery (this also switches to Navi when she’s harassing you). The bottom left is your ocarina, and tapping it will bring the ocarina up on the bottom screen and lays out all the notes for you to play, though you can use the buttons that correspond with the notes if you so desire. On the corner is your song sheet, so if you forget the notes you can look at the list without having to exit to your menu first. The top right and bottom right is reserved for two more items for you to hotkey, which is useful for items that perhaps don’t require button feedback to feel comfortable to use, such as masks or bottles. The ability to have so many items readily at your disposal is a huge improvement and incredibly useful. Oh, but it gets better. When talking about Ocarina of Time, the one part that seems to make the most people cringe is the Water Temple. Aside from the initial confusion of the dungeon layout itself, a huge inconvenience is having to take the iron boots on and off. The boots have actually been removed from the gear menu altogether and are instead items that you can map to one of the face buttons or the touchscreen. I can’t even begin to describe how much this eliminates the tedium of the dungeons that require them, especially for veterans that have suffered through it before. Also on the touchscreen is a larger version of the map, which was formerly only accessible from the menu screen. You can still pull up the menu by tapping on the touchscreen as there are now tabs for the map, your gear, and your items. Your hearts, magic meter, and your currency are located on the bottom screen as well. The only thing that remains up top is the little radar and the context sensitive actions for the A button, so not everything got bumped down. I was pleasantly surprised and even impressed with how much thought went into laying everything out. That isn’t to say there weren’t a few features that got shoehorned in. The game does make minimal use of the system’s built in gyroscope so that if you’re looking around in first person mode, or aiming the bow or slingshot, you can do so just by moving the 3DS around. It was a novel addition, but one that wears out its welcome immediately once you realize you have to twist your whole body around if you want to look behind you. Not only that, but if you have the 3D effect on, moving the 3DS totally messes up your view of what’s going on. Luckily, you have the option to use the thumbstick instead, so you’re not stuck using this feature if you don’t want to. Beyond these changes, it’s still Zelda at its core and even if you’ve never played this particular entry before, you should know what to expect. Your journey will take you through a series of dungeons, each with a hidden item that will allow you to not only reach the boss of that area, but will assist in defeating it as well. The game is equal parts combat and puzzle solving, and you’ll find yourself hunting for keys and maps just as much as you will fending off skulltulas and deku scrubs. It’s a perfect balance that the series has managed to maintain in subsequent entries, and this version of Ocarina of Time is no exception. It’s amazing how a game can improve in areas that you don’t even realize were problematic until they are addressed, and The Legend of Zelda: Ocarine of Time 3D manages to accomplish this frequently in its design. Convenient doesn’t even begin to describe it. The length of the game is going to hinge heavily on how much experience you had with previous versions. For someone who remembers where everything is, it’s quite easy to blow through the main quest relatively quickly, though hunting down various heart pieces and gold skulltulas will take a bit more time. There are a ton of hidden areas and sidequests that are easy to miss out on because many are so well hidden, and half of the fun is exploring in an attempt to discover them all. Assuming you cruise through the entire game and manage to find everything there is to find, the developers also included the Master Quest that was previously only available on the Gamecube as a pre-order bonus for The Wind Waker. And if that’s not enough, you also have the ability to return to Link’s home and battle any previously downed bosses. It also keeps track of how quickly you beat each one, so if you want to see how fast you can take out King Dodongo, you have the power to do that. There’s also a boss rush mode that allows you to fight all the bosses in sequence without the ability to heal in between. It’s an impressive amount of content, and way more than I was expecting to get when I dropped the money on the pre-order, so props to Grezzo for going the extra mile. That said, there didn’t appear to be any additional content added during the main quest, such as a secret dungeon like what they did with The Legend of Zelda: Link’s Awakening DX when that was released on the GameBoy Color. It’s a minor complaint, and one I don’t care all that much about. But I know there will be veterans who will purchase this game that will carry the expectation that something like this be present, so it’s worth mentioning. I remember struggling with a number of the dungeons as a kid, particularly the aforementioned Water Temple, as there was always a key missing that was needed to progress. For newcomers that missed out on the N64 version or haven’t had a chance to try the Gamecube or Virtual Console ports, there were a few things added that make the going a little bit easier. The most prominent of which is the addition of hint stones that provide hint videos about where to go next. They are organized by where the player is in the game and selecting one will play a scene that only lasts for a few seconds, but may reveal a critical hint on what the player is suppose to do in that point in the game. I watched a few of them just to see what they were like, and despite the short length of the clips, they were very revealing. Though this is coming from someone who already knew the ins and outs before watching them. Other notable changes include making the Water Temple a little easier to digest, if having the ability to hotkey the iron boots wasn’t enough for you. The one small key that seemed to escape the notice of most players was the one located under a block that would rise up after increasing the water level. The camera now focuses on this block to show that there is a hidden entrance underneath it. They also colored the doorways that lead to the rooms where you could change the water levels so you wouldn’t get lost anymore while looking for those. Despite this being the second appearance of the Master Quest in North America, it has gone through several changes since its debut. If you’re not familiar with it, the Master Quest is an alternate version of the game where all of the dungeons have a completely different layout and are generally more difficult. This time around, the entire quest is mirrored now, similar to what was done with the Gamecube and Wii versions of The Legend of Zelda: Twilight Princess. So Link wields his sword with his right hand, what was once east is now west, etc. Not only that, but all of the enemies now do twice the damage that they did before, so if you thought having a bunch of bottled fairies was easy mode, then the Master Quest would like to have a word with you. It hurts to award a less desirable score in this department, but let’s face it, this is basically a prettied up version of a thirteen year-old game that has already been released on multiple systems. Granted, it’s a damn good game and one of my personal favorites. Its original home was on the Nintendo 64, but it was featured on two separate disks on the Gamecube, as well as the Wii’s Virtual Console. Yes, the game is better looking and yes, there are some nice conveniences added. But other than that, the basic game is the same and the total package is lacking in the way of new content. Not to mention that some of the newer Zelda titles (and even non-Zelda titles for that matter) have mimicked the formula that was originally introduced in this game and in some cases, quite successfully. 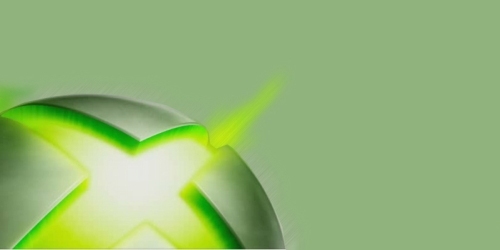 The bottom line: while the game was innovative during its initial release all those years ago, it’s certainly not now. So if you’re looking for something new and different, you’d best search elsewhere. It doesn’t matter that I’ve played this game to death or knew how to solve every puzzle thrown in my direction already. I still went on a several day binge once I had this game in my hands and I didn’t stop until the credits rolled. Then I played some more. I think veterans will find the experience very nostalgic while appreciating some of the new additions. I showed off my 3DS to a few people who had played Ocarina of Time before, but don’t own a 3DS and I had to practically pry the game out of their hands. There are very few titles that have that kind of power over people, and I think Nintendo was wise to choose this game as a flagship title to show off what their new system can do. If you enjoy Zelda games at all, I promise that this one will sink its hooks into you too, even if you’ve played it before. The Legend of Zelda as a franchise already has mass appeal, but Ocarina of Time is generally the most highly regarded, and is still the best selling entry in terms of units moved. It has also been met with critical acclaim, and has even had the honors of making it into the DHGF Hall of Fame by a unanimous vote. At this point, the title practically markets itself. Ocarina of Time is also the title that first comes to mind when on the topic of Zelda games and many gamers may refer to aspects of it without realizing it. When placed side by side, which aspects of each game in the series are more recognizable to the average gamer? For example, Navi or Midna? The ocarina or the baton? Sheik or Tetra? Even those that may not have played the game before may recognize some of the terms. And even if they haven’t, Robin Williams’ beard is advertising this game, so you know Nintendo is taking the marketing on this one seriously. I can’t think of any other 3DS titles that have built such a high level of anticipation as this one does, can you? While I still feel that the 3D craze that has been going on in video games and movies these days is nothing but a phase and I wish it would go away, I will admit that this game does 3D really well. The most impressive are the lens flares that pop out at you when you are facing the sun, though there are some other subtle touches such as when holding a cucco and having the feathers appear as though they are about to fly in your face. Or when you blow up rocks, sometimes the debris flies towards the screen. The status information that is displayed on the top screen pops out over the top of everything as well, so that creates a neat effect as you are playing. Watching how this game plays makes me giddy to see how some of the other titles will look such as Star Fox or Kid Icarus. My complaints with this package are next to nothing, but if I had to pick out something that irked me more than anything else, it would be the inability to access the Master Quest right from the get go. It doesn’t become available from the main start screen until you complete the original quest. I’m sure this was done to avoid confusion among newcomers, but let’s say I had never played Master Quest before and would rather just get right to it, I can’t. Fortunately, both the regular quest and the Master Quest have three save slots each, so you don’t have to worry about conservation of your saved games in that respect. Speaking of saves, you can save the game anywhere, just as you could before. This is perfect for a handheld game if you don’t want to leave your system in standby mode all the time. The only downside is that if you’re not in a dungeon, you’ll always start back at either Link’s house (as a kid) and the Temple of Time (as an adult). This becomes less of an issue when you learn songs that allow you to warp around Hyrule, but it’s a huge inconvenience if you want to play in small chunks. Still, it’s a minor nuisance. If you were waiting for the definitive version of The Legend of Zelda: Ocarina of Time, then this is it. It takes what was already a classic title and successfully adapts it to take advantage of the technology of the Nintendo 3DS. 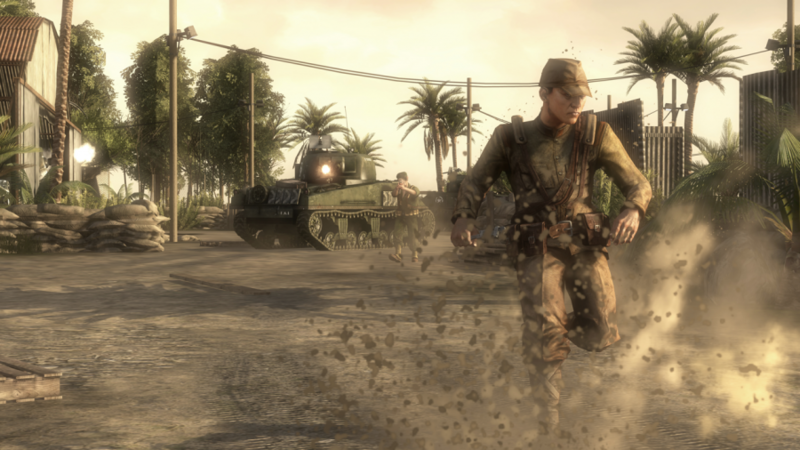 The game looks sharp, both with and without the 3D effects, and it controls even better. The touchscreen allows you instant access to items that you otherwise wouldn’t have enough buttons to map to, and adds subtle conveniences such as the ability to instantly switch your iron boots on and off. 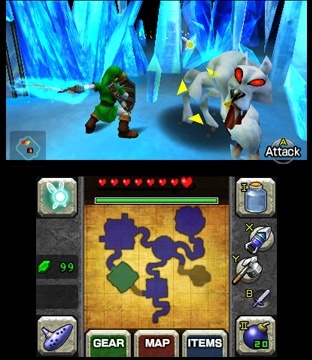 Hint videos were included for newcomers, and a more challenging version of the Master Quest and Boss Rush modes were implemented for the veterans. Is it reason enough to buy a Nintendo 3DS? 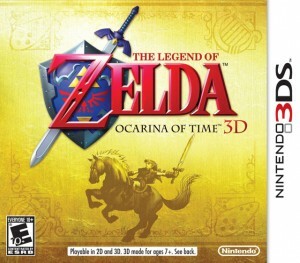 I would say that The Legend of Zelda: Ocarina of Time 3D is the first reason to buy a 3DS. If future titles turn out as quality as this one, I can’t wait to see what my second reason will become. You obviously missed out on Shadow Wars if this is your first reason. Seriously, pick it up. It blows away any other tactical game on a Nintendo handheld except possible Devil Survivor. If the 3DS had released any other month I probably would’ve been more open to gambling on other titles (especially Tom Clancy ones, I don’t usually play those). I’ve basically been using my 3DS to play catchup on regular DS games like Okamiden, Pokemon Black, and Dragon Quest VI. Your review intrigues me though, I’ll have to check it out. I don’t blame you. We fought long and hard to not get the 3DS released in a Pokemon month and the higher ups didn’t listen. Sigh. All ubisoft 3DS games are ten bucks off this week on Amazon, so it’s a great time to get it if you have the extra cash. it’s basically G.I. Joe meets Advance Wars. Sir, you just sold me on this game. I was wondering if the remake would be worth it. I am now more than convinced. Great and informative review! NathanMarcus – Thanks for your support. Yeah, I knew it was something I would like before I purchased it but I was still pleasantly surprised by the end product. I think you’ll enjoy it.